N'Golo Kante set a new record after arriving France training camp on Monday, March 18, five hour ahead of deadline for Les Bleus squad meeting. The Sun citing L’Equipe, claim France manager Didier Deschamps directed all invited players to hit Les Bleus base at Clairefontaine by 1pm today ahead of their trip to Moldova on Friday, March 22. However, the 27-year-old Kante was spotted arriving at about 6.30am, at a time some of his teammates were just waking up sleep. At the last count, the Chelsea midfielder arrived France training 42 minutes behind the scheduled time back in November, suggesting he was keen to avoid another timing mistake. On that day, Kante had the train to blame for arriving behind schedule, prompting Deschamps to question him jokingly. "But N'Golo, you are faster than the train." Interestingly, while Les Bleus squad members were still enjoying their sleep, .Kante was already outside the Clairfontaine training base. Meanwhile, other World Cup stars like Paul Pogba, Kylian Mbappe and Antoine Griezmann were all in excellent mood as they made arrived for international duty. France head to Moldova on Friday, March 22 to kick-start their Euro 2020 qualifying before playing host to Iceland on Monday, Match 24. 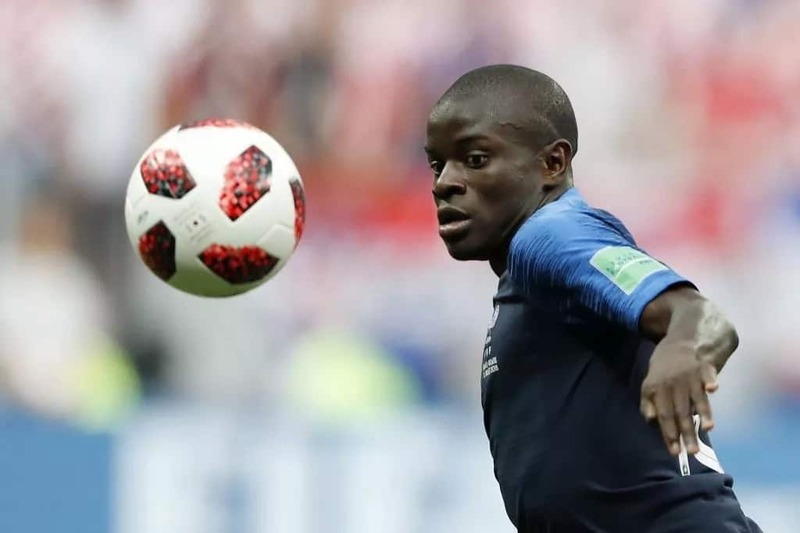 Earlier, Legit.ng reported that Chelsea midfield star N’Golo Kante avoided being punished by France manager Didier Deschamps during the international break despite arriving late for Les Bleus training season. According to a UK Sun report, the French star failed to turn up for the day’s session after suffering delays at the brain station, an incident that saw him arrive Les Bleus' Clairefontaine training base 42 minutes late and could not join the rest of the gang. However, on arrival, Kante meet Deschamps to explain to him and other staff members why he failed to turn up on time.